There have been several meetings referred to as a Parliament of the World’s Religions. The first one took place in 1893 in Chicago in an effort to create a global dialogue of faiths. The event was celebrated by another conference on its centenary in 1993, held again in Chicago. Subsequent Parliaments were held in Cape Town, South Africa (1999); Barcelona, Spain (2004); Melbourne, Australia (2009) , and Salt Lake City, Utah, USA (2015). 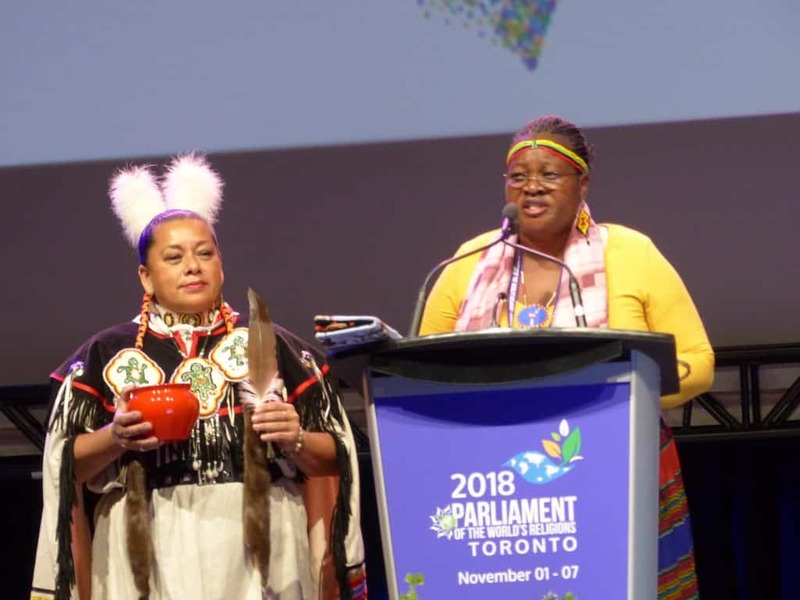 The theme of the November 1-7 Parliament in Toronto was “The Promise of Inclusion and the Power of Love,” with over 7,500 participants from 80 countries. The theme witnesses to how the Reign of God cannot be achieved without pursuing global understanding and inclusion among the different living faiths who share this planet. And such direct spiritual experience helps us see that it is our nature to love and to be creative in fostering right relationships among all beings here and now. Love of neighbor follows from love of God. It is the concrete actualization of one’s love for God. 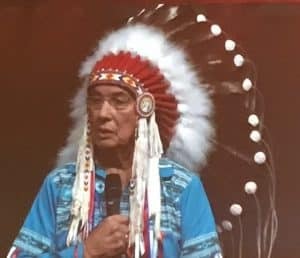 An outdoor spiritual opening ceremony led by First Nations people involved a water ceremony, a Sacred Fire, and a procession into the main plenary hall of the Convention Centre with music and dancing by the Native People. In the opening plenary assembly, it was emphasized that “love is a verb”, and that the Parliament can be a microcosm of what our world could become: inclusive and loving, with its participants proactively sharing the message of connectedness, a worldview in which we are all connected to Divinity. Not “me and you” but “us”, collective dignity. The programmatic structure of the Parliament offers simultaneous prayer services in the different world religions at the beginning of the day, with 500 workshops, seminars, and panel discussions to enable participants to expand their interests and strengths, as well as daily plenary assemblies with multiple speakers, cultural performances and artistic exhibitions filling up the rest of the day. This article offers but a taste of session tone and content in some of the recurring themes around Indigenous Peoples, Environment, Faith and Interfaith, and the Next Generation of Leadership. Indigenous people in Canada were once everywhere, but today have been granted only 2% of the land. Attention was given to how indigenous people can flourish again. In the colonial era, children were rounded up in September, the “crying month”, as over time, approximately 150,000 children were taken from their parents to a residential school with the goal of “killing the Indian” in them. It was against the law for them to practice their spirituality. Many died trying to run away from home to avoid this. What took place in residential schools amounted to cultural genocide. A major reason why the Parliament chose Canada for this meeting is that the Canadian Reconciliation Commission has committed to dealing with the indigenous people. Commission members traveled across the country interviewing indigenous people and listening to about 7,000 residential school stories of physical, mental, cultural, spiritual, and sexual abuse. School legacy issues include education, culture and language, spirituality; health; justice; governance; poverty; the missing and murdered; and child welfare. In the United Nations Declaration on Rights of Indigenous Peoples, there are 16 Calls to Action, and principles of reconciliation are given, recognizing that reconciliation will require the leadership and sustained efforts of all levels of government as well as the continuous efforts of Indigenous and public leaders working together. In 2007 the largest Class Action Settlement was taken by the Commission. It established a multi-billion dollar fund to support survivors. 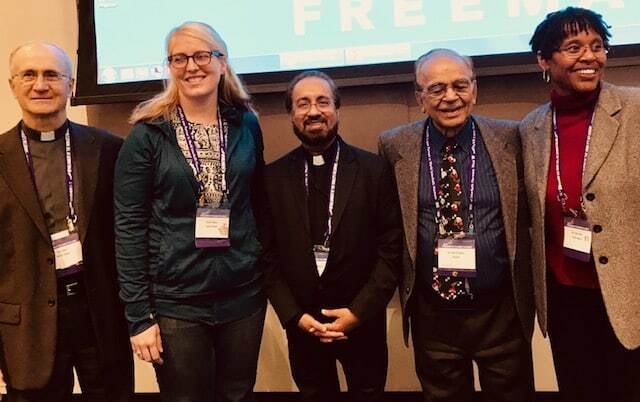 In a workshop on “Welcoming the Stranger with Our Head, Heart, and Hands”, Manohar Grewal, former president of the World Sikh Organization, reflected that where immigrants are concerned, a challenge is shyness. How to overcome it? Appreciative inquiry. It begins with one-on-one questions, like: “Could you share with me something that’s precious to you in your faith practice?” He observed that in small communities, people are generally more open and accepting. There were numerous workshops, panel discussions, and a Climate Action Assembly addressing current environmental concerns. The Climate Action Task Force of the Parliament is working to strengthen the growing global faith-based climate movement, bringing people of many traditions together in common commitment and effective action. 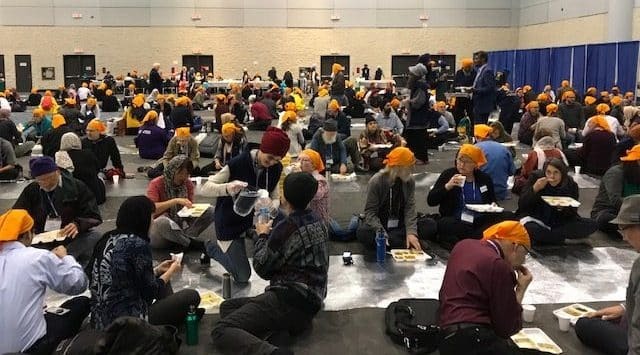 And as for the inter-relational environment of the Parliament itself, it was enhanced by a daily free lunch called a “langar,” prepared and served by the Sikh community in Ontario. In the Sikh religion, the equality of all people is emphasized. To express this, everyone removes his or her shoes, puts on a head scarf, is seated together in rows on the floor, knee to knee, and has the same choice of vegetarian food, enjoyed over conversation together. A responsibility not just to care for themselves, but for our creation, our environment. The religions of the world can and must be the central agents of change, but to do that, the religions must also change. They must change their thinking that they can do this by themselves. Collaboration among them is now a necessity. Religions of the world must take on free markets and capitalism; they must condemn and overcome political and economic forces that threaten the well-being of creation. Religions need to recover the power of civil disobedience, non-violent action. They must resist the building of walls at their borders, the killing of animals and deforestation. Paulist Fr. Thomas Ryan, CSP, directs the Paulist North American Office for Ecumenical and Interfaith Relations in Boston, MA. Special thanks to Rev. Deborah Hart of Toronto for providing the photos for this article.